The Biological Diversity Act 2002 aims at preserving biological diversity in India. The Act provides mechanism for equitable sharing of benefits arising out of the use of traditional biological resources and knowledge. It seeks to set up Biodiversity Management Committees (BMCs) at the local level in every state under Section 41 of the Act. BMCs promote conservation, sustainable use and documentation of biological diversity. There is also a People’s Biodiversity Register (PBR) which records the diversity of flora and fauna. On an average, 333 acres of forest are legally diverted under Forest (Conservation) Act, 1980, each day. This does not include forests which are illegally felled or encroached. For construction of Amravati, Andhra Pradesh’s state capital, 130 sq.km of forest is being diverted. The Himalayas have become world’s mountain range with most number of dams. It includes the most threatened species like the Great Indian Bustard (GIB), the Bengal Florican, Manipur Brow-antlered deer, dugong and wild buffalo. Yet, in 2015, one rhinoceros was killed almost every two weeks in the Kaziranga National Park. About 30 or less genetically pure wild buffaloes exist in central India. Thus, India is in the midst of an unacknowledged biodiversity crisis. But, it is ironic that Biodiversity Act is the most neglected of India’s environmental laws as well as one of the least implemented. The government’s approach has been with apathy. There is very limited judicial pronouncement and interpretation of environmental laws. Action by civil society is not much visible. Most of the Indian Forest Service Officers don’t consider biodiversity as a lively area and desire for a more ‘mainstream’ post. The act has immense potential to safeguard India’s threatened biodiversity. It provides for both centralized and decentralized institutional mechanisms for conservation and sustainable use of biodiversity. The National Biodiversity Authority at the apex level, State Biodiversity Board and BMC at the local level. Thus, it can be a potent tool in helping to conserve wildlife and wildlife habitat. However, the problem is not at the constitution of biodiversity authorities at central or state level but at the BMC which has to perform diverse and critical functions. The Biodiversity act mandates impact assessment studies for activities like construction of dams, mining sites or diversion of land, which are likely to have an adverse impact on biodiversity, irrespective of the nature and scale of the proposed project. Yet, many projects in ecologically sensitive areas are able to circumvent the EIA process. It has been observed that either EIAs are fraudulent or they are below the threshold limit. A riverine area was proposed for the construction of a dam. The Monpa community of Tawang district struggled for three years to prove that it is one of the two wintering sites of the black-necked crane, a protected species held sacred by Buddhists. The environmental consultant had deliberately avoided a reference to the species. A series of hydropower projects are coming up in Himachal Pradesh. The tribals of Kinnaur are struggling to protect the last remaining chilgoza (pine nut) trees from being lost in these development projects. Forest Department records do not mention the significant role the tree species plays in providing livelihood security to people. It means that an EIA is necessary for this project as it will have huge impact on land, people and biodiversity. One of the major impact will be stemming the flow of more than 50 km of the Yamuna River. There are a series of dams existing and coming up in these areas. They can have an adverse impact on aquatic biodiversity. Hence, new projects should be carried out after EIA is done. However, the EIA law requires that only projects above 25 MW should undergo EIA. 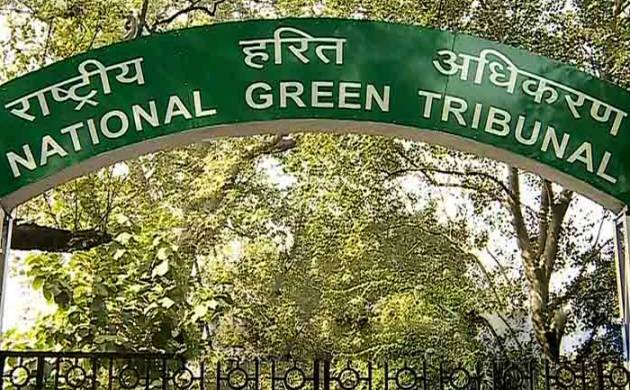 In an attempt to circumvent such laws, the cumulative impact of these projects on India’s biodiversity becomes substantial, at times irreversible. Which Institute is best for IAS study? The Classic IAS Academy is known to be the best IAS coaching in Delhi. The institute helps a lot in shaping the career of a student. Our institute firstly analyze the capacity of students and then guide them in a very efficient manner. You can enroll here and can get best IAS coaching in Delhi. We have a team of dedicated and highly experienced teachers. The best aspect is that we provide scholarships to good candidates.